The DIY market has been expanding rapidly for several years. 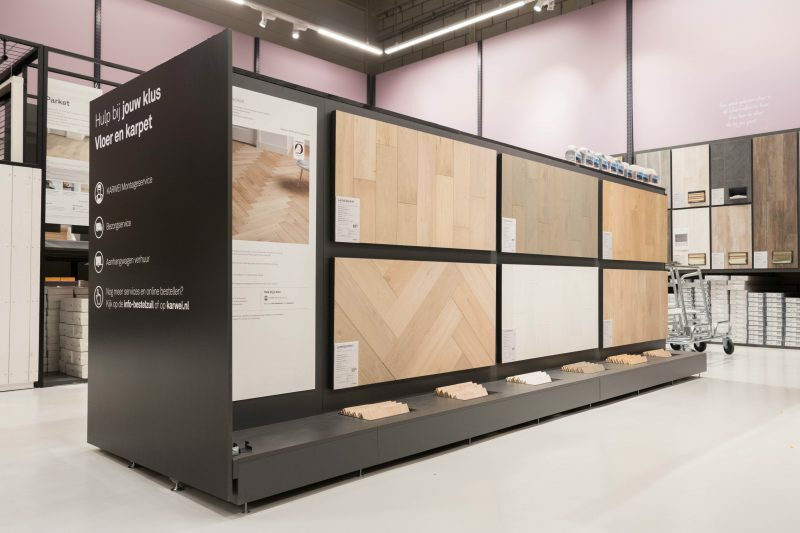 Home improvement stores are no longer just for tools, and this sector is also capable of combining online and offline channels effectively. Thanks to this rapid growth, the number of stores in our country is also increasing. Our people at Twin Shop Support are happy to roll up their sleeves and tackle the A to Z of shop fitting, from assembling shelving units to stacking the shelves. The commission was to fit out a Karwei DIY store to match the new ‘Q formula’, together with Intergamma, the Gamma and Karwei franchise organisation.